The collection contains excerpts arranged categorically to help introduce people to Confederation philosophy. Some of these transcripts are being published for the first time in this book, having never appeared on L/L Research's archive website. Topics covered include channeling, meditation, love, service, UFOs, and other subjects relevant to the spiritual seeker. Explored in these pages are the basic themes of the Confederation philosophy that have become the hallmark of L/L Research’s channeling ever since. Seek, my friends. Seek. This is the word that opens the door to everything that exists throughout all of space and all of time. Seek. Seek. And what will you find? You will find love, for that is all that there is to find. For that is all that there is. 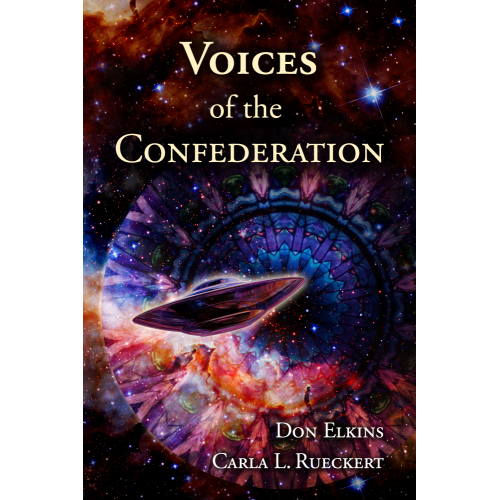 Voices of the Confederation is available on Kindle. Click here to purchase through Amazon.